Canterbury Woods Neighborhood | Minoa NY Real Estate | 3 Bedroom Home - Contact Bob McTague at 315-882-6610 for more information about this home located in Minoa, New York. Minoa, NY Neighborhood -. 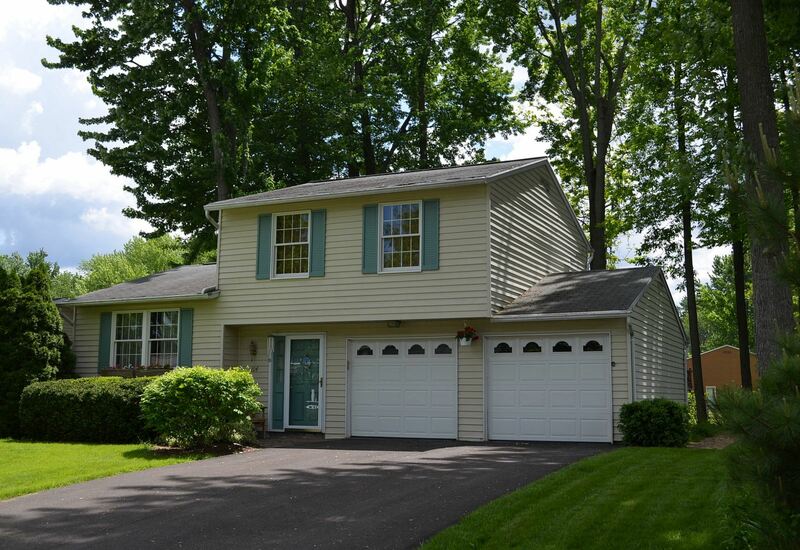 This Charming 3 bedroom Split Level is located on a cul-de-sac in the popular "Canterbury Woods" neighborhood which is centrally located to ESM schools, parks, shopping, and major highways. Fist Floor Features - The first floor offers a spacious entry with tile floors and a laundry/half bath. Main Living Area Features – The main living area features an eat-in kitchen, a formal dining room, and a family room with a gas fireplace. Second Floor Features – The second floor provides a large master bedroom, two other bedrooms, and a full bath. Exterior - The exterior features a 2 car garage, patio, and a private yard.